Black Hills Trails is pleased to announce it has received a $3,000 grant from the Black Hills Area Community Foundation. 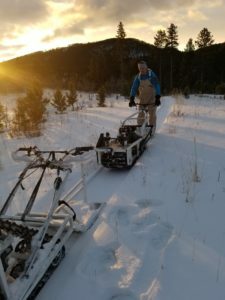 These funds will support over-snow Trail Grooming for Fat Biking on the Black Hills National Forest and throughout the northern Black Hills. Mountain Biking in the Black Hills area is as popular as ever, and with the advent of fat biking, this popularity has blossomed into Winter over-snow riding. Over-snow riding has the same need for well constructed and maintained trails as during fair weather months. 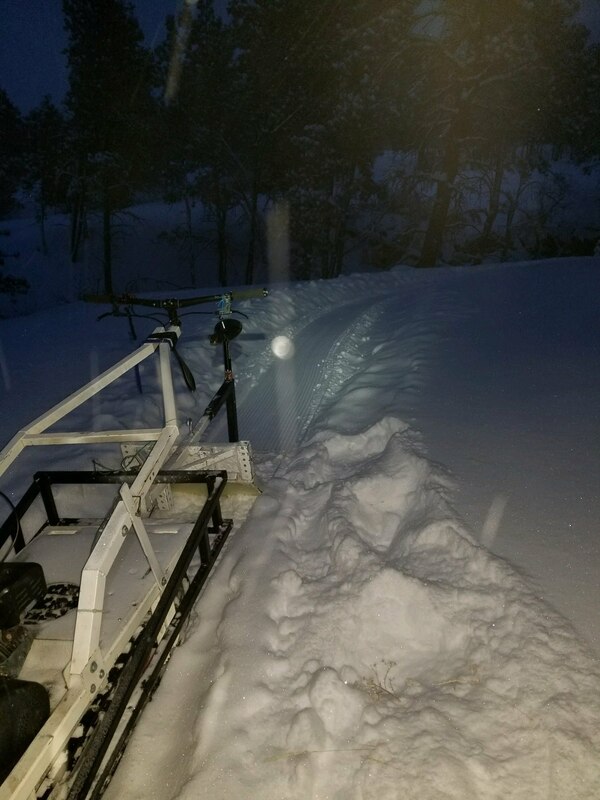 The most efficient way to create and groom these trails is using machines which groom (compact) the snow similar to a cross-country ski trail. 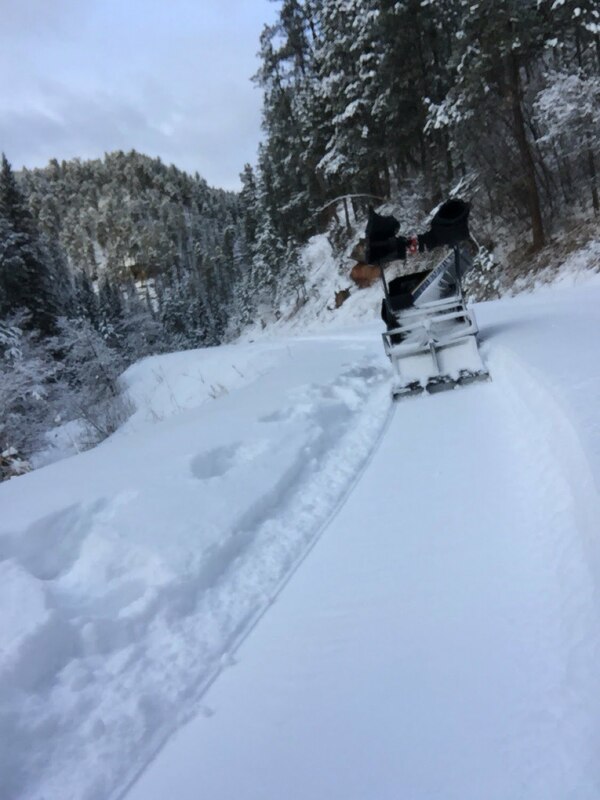 Recent work with the Black Hills National Forest has allowed the use of snow grooming machines on designated trails. This network of trails is widespread enough that several machines are needed to accommodate the demand. 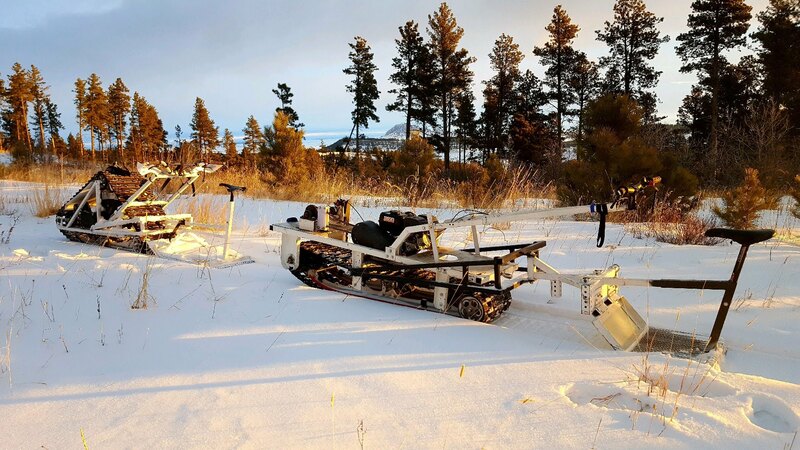 In an effort to continue fulfilling Black Hills Trails’ mission of connecting communities, even over-snow, Black Hills Trails will utilize this grant funding, in addition to other sources, to purchase more over-snow grooming machines. These machines will power the volunteer trail grooming effort. The Black Hills Area Community Foundation (BHACF) awards annual grants through a competitive application and review process. Through the Quality of Life Grants process the BHACF supports a wide variety of proposals in: Arts and culture, environment and conservation, education, youth and children, social services, and community and economic development. Requests can support projects, programs, capital projects and general operating support. “We are proud to be able to respond to our communities changing needs and offer support to the nonprofits that make our region a better place every day. The information that the applicants share with us helps our organization grow in understanding the issues and concerns of people in our community,” says Liz Hamburg, Executive Director of the Black Hills Area Community Foundation. 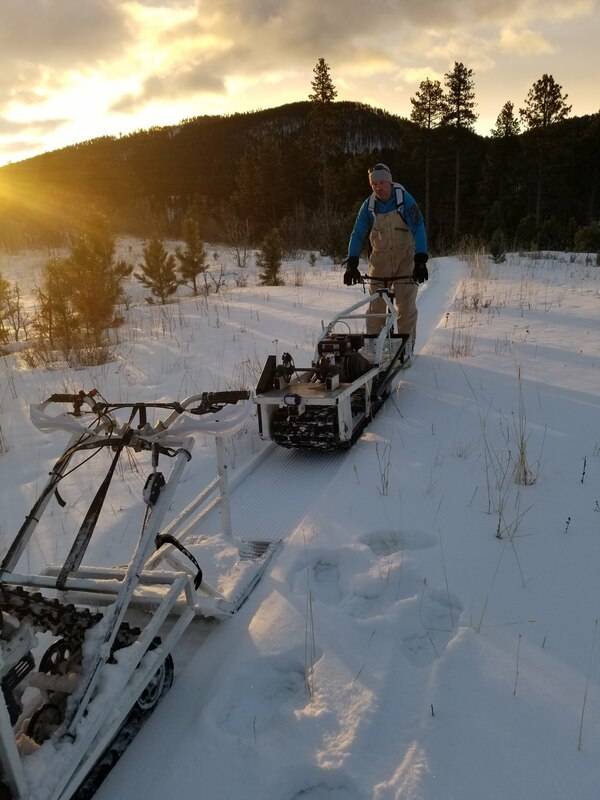 The mission of Black Hills Trails is to maintain and enhance the trail experience in the Black Hills of South Dakota and Wyoming. The ultimate goal of Black Hills Trails is a future Black Hills where a diverse network of studiously designed, judiciously constructed and expertly maintained trails connect every city, town and point of interest in the region. The organization seeks the proliferation of recreational and backcountry travel opportunities for all non-motorized user groups. In pursuit of these goals Black Hills Trails provides support to individuals, organizations, and events that promote these ideals and will strive to work with land managers in support of recreational opportunities. The Black Hills Area Community Foundation has given more than $13 million in grants and scholarships over its 10-year history. In addition to our donor advised gifts, 100% of our foundation’s grantmaking initiatives stay in the Black Hills region! At its core, the BHACF is an organization created with gifts from generous people committed to local causes. For donors, the Foundation serves as a philanthropic advisor. For the community, the Foundation serves as a grant maker and a civic leader. Through the support of its donors and fund holders, the Foundation has been able to address some of the community’s most pressing needs. The BHACF is a public charity 501(c)(3) organization. For more information, visit www.bhacf.org. Sign up for Black Hills Trails news, events and information by email. Copyright © 2019 by Black Hills Trails. All Rights Reserved.